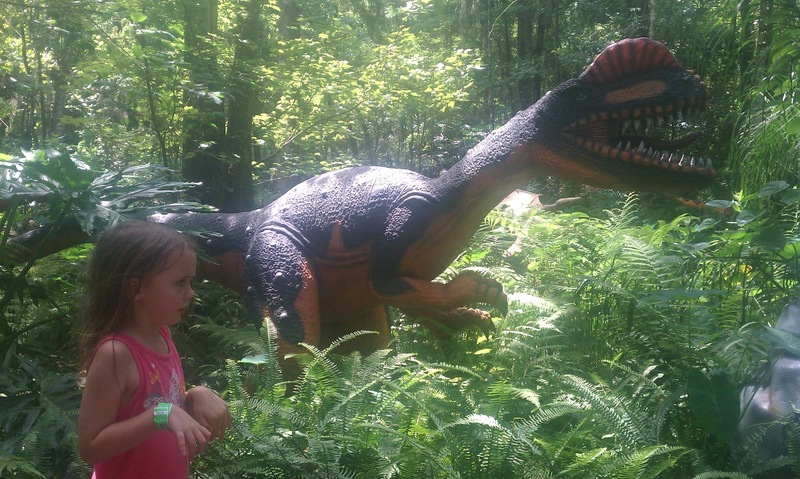 Here is a great giveaway for those families wanting to experiencing something out of the ordinary .... DINOSAUR WORLD! Click Here to see the Full Review and Giveaway by Rebecca @ Love2EncourageYou! This is just the shortened version. 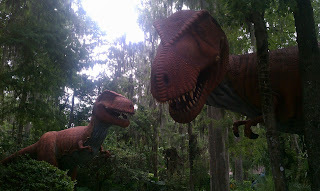 We had the great privilege of visiting Dinosaur World in Plant City, FL recently with free passes. It was quite the exciting experience for my little ones who arrived with wide-eyes and full of anticipation getting to see over 150 life-sized dinosaurs! You can find out more information at www.dinosaurworld.com. 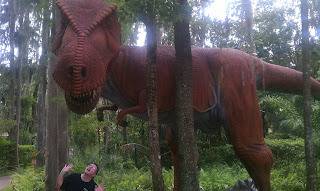 We began our journey walking out into a large open area with giant dinos and beautiful landscaping. To my little one's delight, we came upon a Preschool/Toddler playland area almost immediately - full of brightly colored dinosaur-themed slides and ride on equipment. 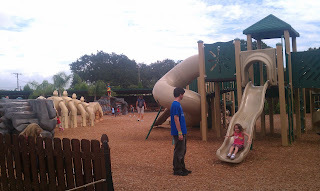 They even had toddler safe swings for my 18 month old to enjoy, although my five year old wanted to swing on them too. Lol. 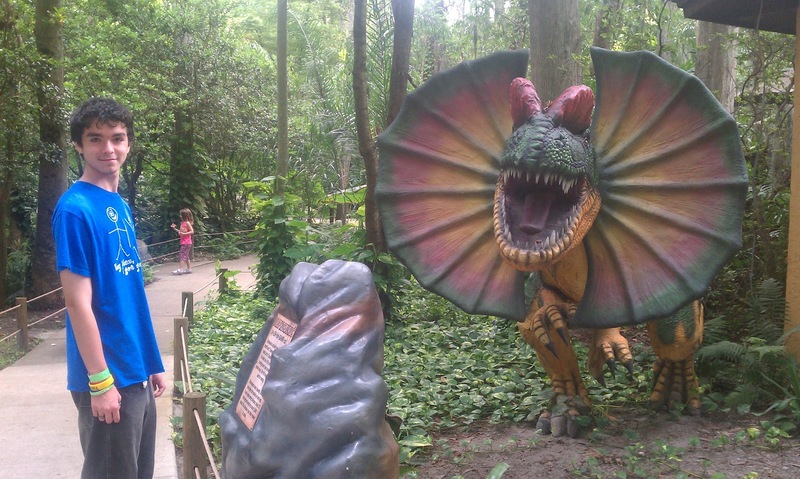 This one reminds my teen son of that scene in Jurassic Park with this dino. He enjoyed reading all the name plates and searching for interesting details he may not have known. Plenty of spaces available under the shelter of this cute little picnic area to bring your own lunch or snacks and take a short break. 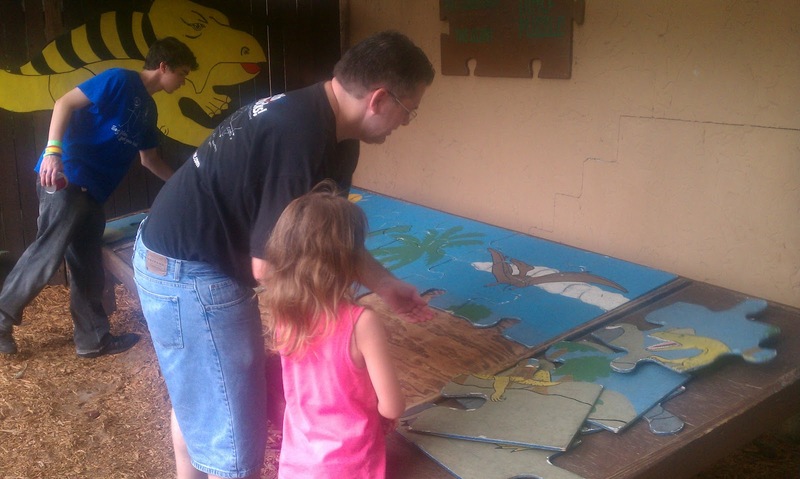 Something that may be a big hit with the elementary aged kids is the giant puzzle you can take apart and put together located near the picnic area. 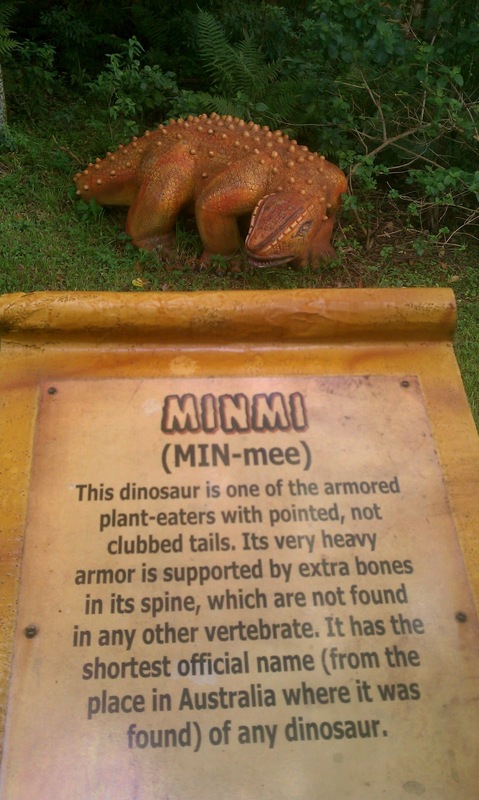 For my homeschool and education-minded readers, the little details included on the information plates in front of every dino are very helpful for inquiring minds. 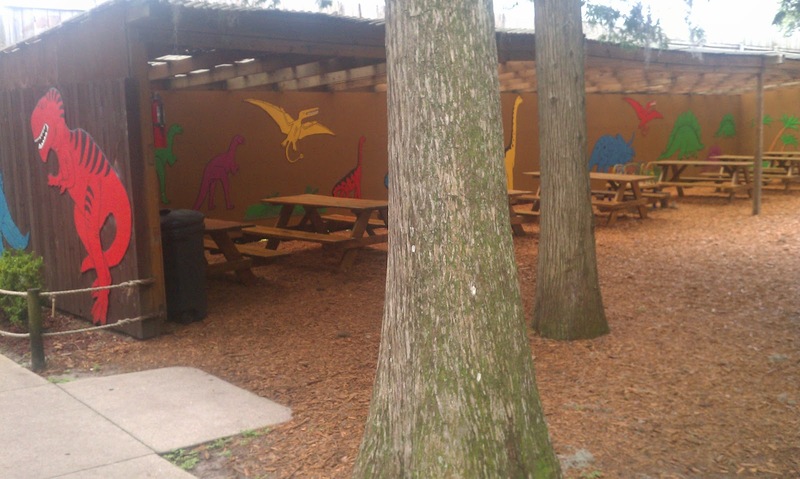 Here is a fun little activity you can do with your child called Touch and Tell which stretches along a portion of the park after the picnic area. 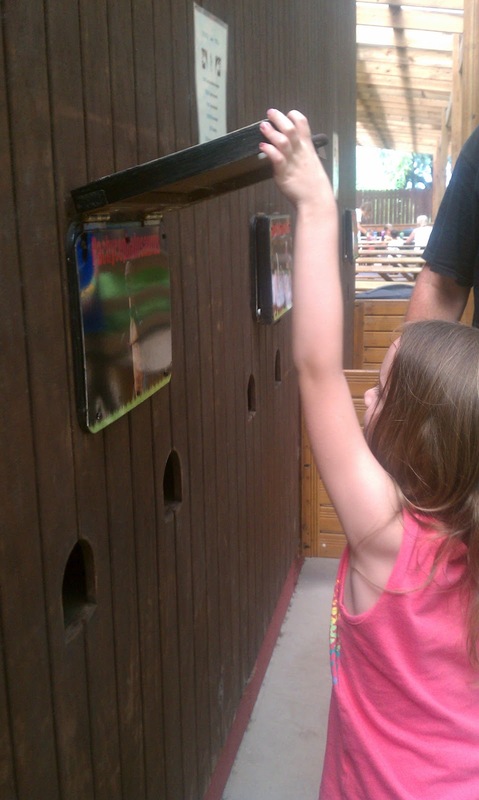 It has several fun lift the flap types of games to play and even a touch and guess game to figure out what is hiding in the hole behind the wood. Here is a peek at one my daughter was playing. 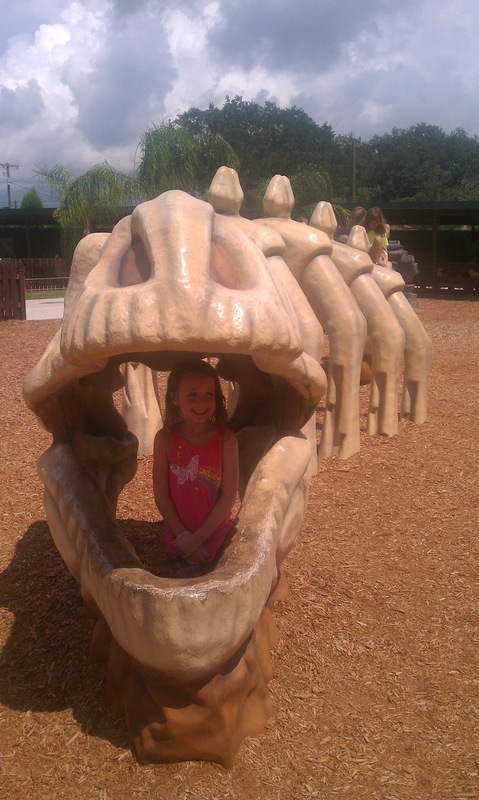 Dinosaur World is also one of the only pet friendly parks in Florida. 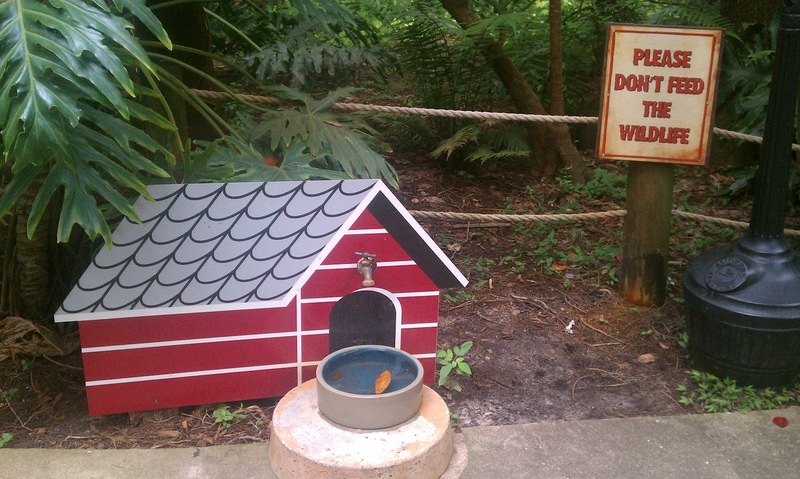 They have drinking stations in the park just for your pet! How cool and thoughtful! 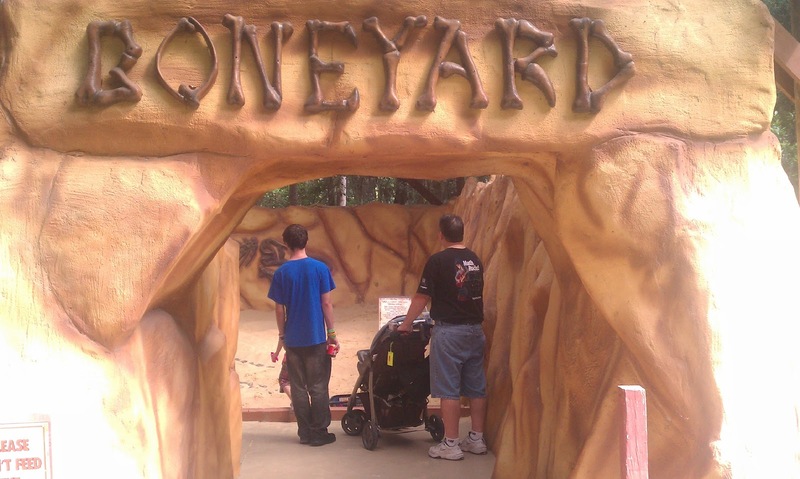 This is the BoneYard which is a super big sand pit with a huge dinosaur skeleton for the little ones to enjoy uncovering with all the shovels and brushes Dinosaur World makes available for them to use while playing here. There are bleacher seats available to one side for the parents to sit and rest on while the little ones play. The sand pit is in a covered shelter so the sun doesn't beat down on them while they are playing. The park has so many great activities that offer hours of entertainment for the whole family. We highly recommend a walk through the museum near the exit before you leave - to experience their new live animatronic dinosaurs! 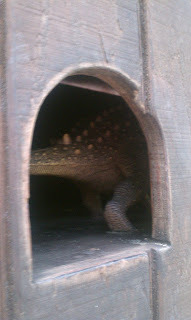 Even my 18 month old loved them and wasn't afraid! That was surprising! It was impressive to see all the workmanship and detail that went into the making of these dinosaur statues. My family is really into drama and so in conclusion, my husband decided to help set the mood for your future visit to Dinosaur World. You can follow each individual Dinosaur World park on Facebook or follow the one you are closest to. It is also recommended to follow them on Twitter. Dinosaur World has special events and sales promotions quite often! You won't want to miss them. Their prices are very reasonable and it makes it fun to spend a nice day out in the fresh air with the family at a price you can afford. Good luck to all of you as you enter the giveaway below! Location: Open to USA only Age: Must be 18+ yrs to enter. Disclosure: Health, Beauty, Children and Family did not received any monetary compensation for this post. This giveaway is in no way associated with Facebook or Twitter. Health, Beauty, Children and Family, Love2EncourageYou and the other bloggers helping to promote this event are not responsible for sponsor prize shipment. Plant City, FL-- my favorite has been stegosaurus. 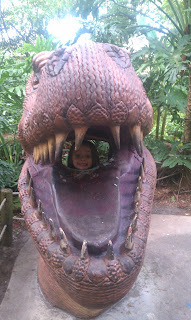 My son's favorite dinosaur is T-Rex, and we would go to the KY location. 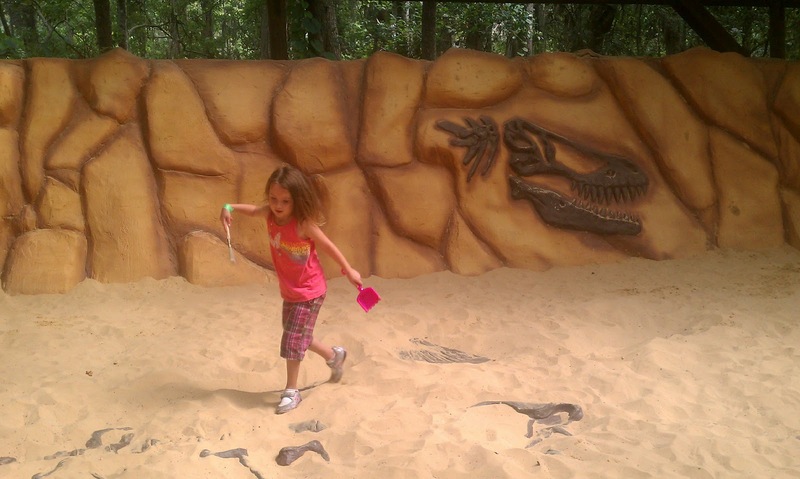 My 9 year old daughter has dreamed of becoming a paleontologist since she was 3 and LOVES all things DINOSAUR!! 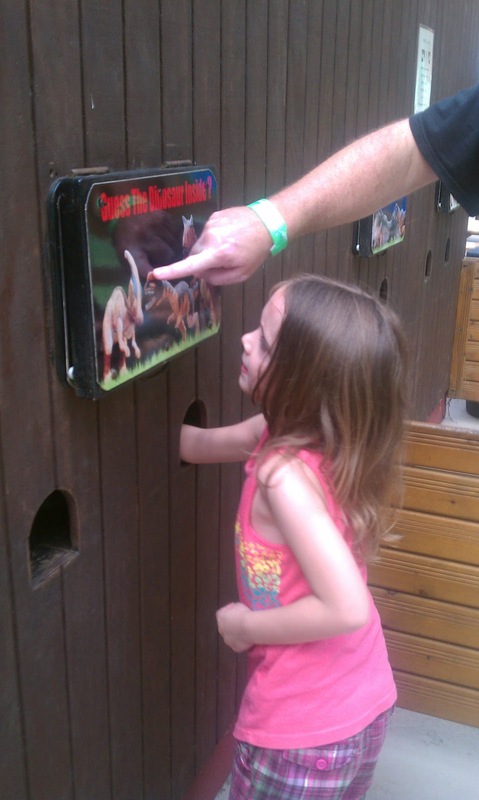 We would either go to the Kentucky or Texas Dinosaur World. Brachiosaurus is one of my boy's favorite dinosaurs. 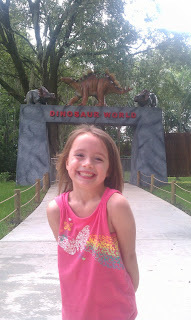 We would visit Dinosaur World in Kentucky since it is closest! 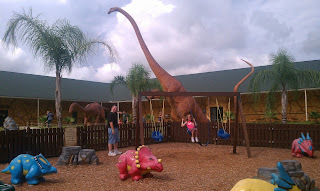 I would want to go to Dinosaur World in Cave City, KY.
KY. Brachiosaurus is my favorite. We love Triceratops, and would love to visit Glen Rose Texas! 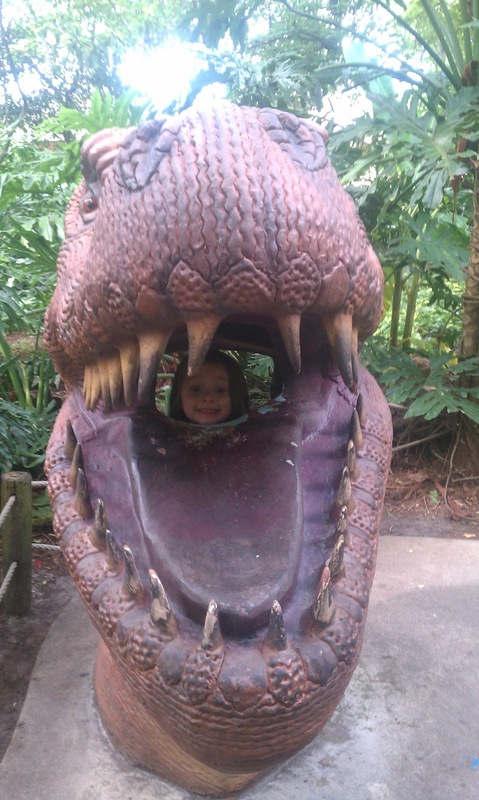 T Rex is our fav! It is SO big at the FL park!